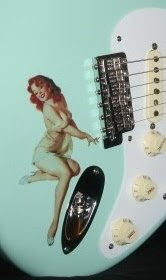 Handy Artists' Relief Trust "HART"
Taylor also joins our esteemed Young Guitar Wonders directory. Besides his love for Strats and playin' the Blues, Taylor is an "A" student and currently working on making Eagle Scout, which also nominates him for some kind of "Least Likely to Die from Poisoned Whiskey & Jealous Husbands AWARD". If you pay attention to the above video, this lad not only plays with very clean tones & signal-- but his phrasing, feel and syncopation are way mature for a 15 year old white boy. Yes, I know he's using a looper-- don't nobody comment to let me know about it! 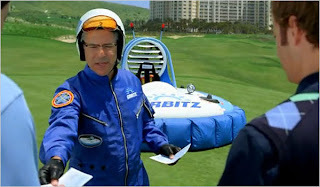 Imagine the Orbitz Hovercraft Man time traveling to a 1930's rural Mississippi front porch and reporting to our great Blues ancestors about the 21st Century, the IBC and kids like Taylor Marvin- just for their reaction - then of course having to shoot 'em with that MIB blue light hootie-gooter, thing-a-ma-jig device. This stuff happens a lot, in case you've forgotten. But seriously folks, I urge you to check the links above for more about Taylor and a whole lot about The Blues Foundation.